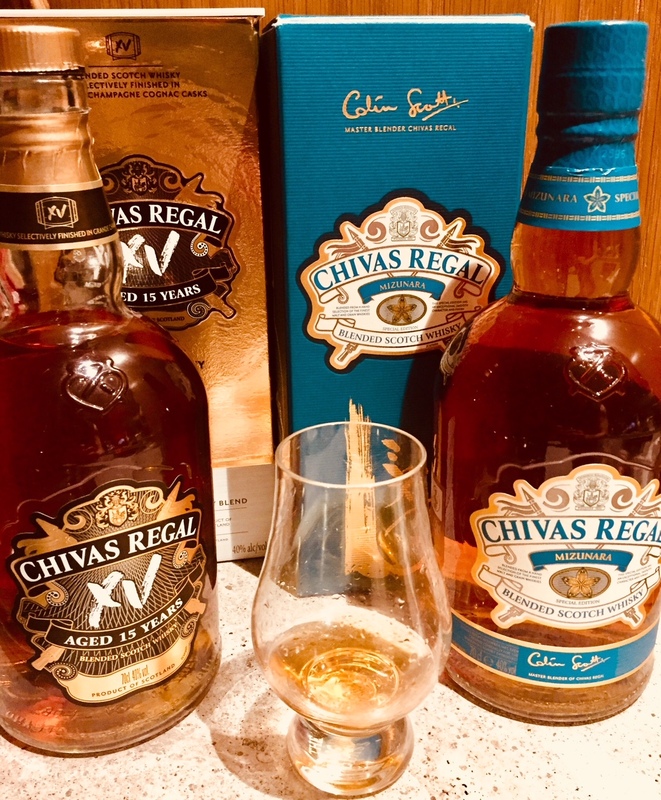 Inspired by the attendance of Chivas’ recent Sydney incarnation of The Blend, my curiosity was sparked to explore Chivas’ expressions that so far have not come across my palate. As mentioned before, Chivas has been a reliable and accessible companion even in the more remote regions of this earthround and their trademark authentically Scottish art of blending whisky has yet to produce an emission that I would not enjoy a dram of. When it comes to Whiskey countries outside Scotland, Japan has always ranked high among my favourite. Naturally, Chivas’ exploration of how they could channel their alchemy and marry it with a Japanese twist instantly caught my attention, i.e. Chivas’ efforts of sourcing fine and rich single malts and grain whiskies and letting their emissions mature in hand-selected Mizunara oak casks. What makes Mizunara oak special apart from the beautiful name is that it is crafted from trees that are indigenous to Japan’s Hokkaido region and renowned for its distinctive porous nature, which necessitates expert calibration and blending capabilities. The result is a smooth, light amber special edition 12-year old premium whisky from the Speyside clocking in at 40% ABV with a unique and subtle flavour, the sweet (think pears, stewed apples and honey) meet gingery spicy cinnamon notes, framed by a nuttiness, nuances which are partly derived from the rare porous Japanese casks and add a bit of sandalwood. A bit of research yields the result that the genesis of this beauty was apparently inspired by Master Distiller Colin Scott’s trip to Japan and the fact that it was initially meant to be an expression aimed at the Japanese market only, before global demand had Chivas make it widely available. Now, while the Mizunara expression is quite something, Chivas XV, i.e. a fifteen-year-old blend takes explorations and redefines in the best way possible what Chivas is usually known for. Instead of Japanese oak, the Chivas XV has been selectively finished in Grande Champagne Cognac casks. Now, being a cognac aficionado, there was no doubt in my mind that this marriage would yield results, yet what materializes in the Glencairn knocks the velvety and rich notes that Chivas is usually known for out of the park. This is one for celebrations as pouring it instantly adds a bit of luxury and gravitas to any moment: Sultanas, jam, sweet and fruity apple notes travel via fields of honey to butterscotch and caramel plateaus, which culminate in a vanilla high in the finish. When at a bar in the depths of Northern Asia in the future, it will be difficult to order Chivas without at least inquiring if one of the two expressions might be hidden behind Chivas’ ole faithful twelve-year-old. Both Mizunara and the XV are testament of Chivas being at the forefront when it comes to creating blended whiskies that do not have to hide behind their single malt peers.